There are various perspectives, myths, and stories revolving around the origin of Thanksgiving and how it came into being. 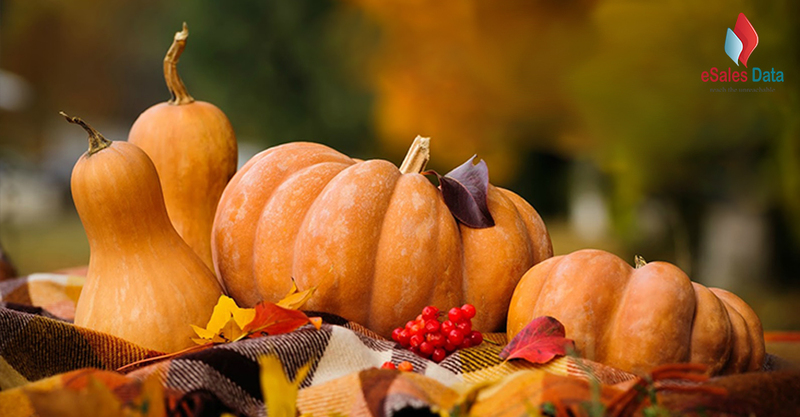 According to traditions and popular belief, we all know that Thanksgiving that marks the season of the good harvest was first celebrated in the year 1621. The legend says that the first celebration happened when the English pilgrims celebrated their successful plantation at Plymouth Tradition by sharing a meal with Wampanoag tribe in Massachusetts. These tribal people were the ones who taught the pilgrims planting corn, tapping maple trees, and fishing around the Plymouth. However, what began as a day of thanking on an excellent harvest gradually proceeded into becoming a grand celebration for Native Americans. People in American, Canada, and other parts celebrate this fourth Thursday of November of every year by mostly engaging in preparing tasty food, organizing grand feast with family & friends, watching football games, and enjoying the beginning of holiday season. But amidst all of the grandeur, did you know some of the interesting facts about Thanksgiving? The first celebration took place in the autumn of 1621 involving 50 English pilgrims and 90 Wampanoag Indians who helped the pilgrims by teaching plantation. That is how they were able to get a good harvest for the season and thus could celebrate in rejoice. The feast lasted for three days. The early settlers marked the day to celebrate their first harvest by praying and thanking God for everything. The early settlers planned to celebrate their first harvest by praying and fasting. They had no plans for turning the celebration into a feast until the Wampanoag Indians joined them for the ceremony and converted their fast into a feast that lasted for three days. Yes! You heard that right. Although the celebration began in 1621 but it was not before 200 years that Thanksgiving got approved as a national holiday. And the credit for that goes to Godey’s Lady’s Book editor Sarah Josepha Hale who waged strong campaigns for the approval. That is how, Abraham Lincoln, the first American President came to declare Thanksgiving a holiday for the nation. When the first celebration occurred, there were no forks introduced to the English Pilgrims, so they only used spoons and knives to eat. The discovery of fork happened only ten years later after the event, and it became popular only during the 18th century. According to the historians, a turkey was not on the menu at the first celebration of Thanksgiving. The list mainly consisted of eel, ducks, deer, oysters, geese, lobster and fish. Also, they were no pumpkin pies, and the feast included the eating of pumpkin only. Even mashed potatoes or cranberry relish were also nowhere found in the menu of first Thanksgiving. Lincoln declared the last Thursday of November to be the Thanksgiving Day. However every year November may not have the same number of Thursday, and it may vary. As a result during the Great Depression period, retailers apprehended that as the Thanksgiving fell on last Thursday, consumers may not get the entire month to shop for the upcoming holiday season. Their concern was because November may have four or five Thursdays based on the year. So, they demanded to FDR to consider fourth Thursday of November as Thanksgiving. Every year, the US President has to pardon a turkey and forbid it from being eaten at the Thanksgiving dinner. The tradition for the same started in the year 1947 with President Truman. Even President Obama had also participated in the ceremony by pardoning a 45-pound turkey which was named Courage, and it was sent to Disneyland for participation in the Thanksgiving Day parade. It is a common practice among Americans that they indulge in watching football games as part of their Thanksgiving celebration. The question, however, arises what led to such a tradition. It all began when NFL started hosting Thanksgiving Classic games in the year 1920. Since that time, even the Dallas Cowboys and the Detroit Lions also host games on the Turkey Day. History is a storehouse of amazing facts revolving around or culture, religion, celebrations, and traditions. However, we often miss out on those facts and start loosing on the points that connect us with our historical past. Hope, this throwback journey on some of the unknown facts about Thanksgiving Day will help you brush up your history knowledge and compliment this year’s celebrations with fun filled with facts.